Tony Hsieh is best known as CEO of the online shoe and clothing store, Zappos.com, and is a serial entrepreneur and venture capitalist. After graduating from Harvard University with a degree in computer science, Hsieh co-founded the highly successful internet advertising network LinkExchange. 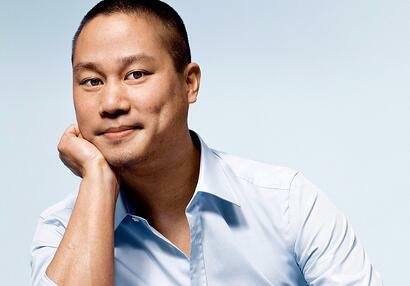 He later sold the company to Microsoft for $256 million dollars, and in 1999, when on to join Zappos as CEO. In 2010 Hsieh authored the much acclaimed, New York Times bestseller, Delivering Happiness, a book about his experiences in entrepreneurship and corporate culture. The book received rave reviews from notable media publications such as TechCrunch, The Wall Street Journal, CNBC, The Washington Post, and The Huffington Post. One of Hsieh's most recent ventures is as founder, financier, and impresario of the Downtown Project in Las Vegas, an ambitious social experiment in urban reinvention, where he’s successfully changing the cultural and architectural landscape of Downtown Las Vegas. Download our White Paper to learn more about Tony Hsieh and thousands of other CEOs.